Omniva’s new and convenient “All-in-One” delivery module – in other words, something for everyone and all as conveniently as possible! Omniva provides a fast, extremely convenient and affordable method for both sending and receiving parcels – in the case of self-service parcel points, also regardless of the time of day or the day of the week – in Estonia, Latvia and Lithuania alike, or anywhere, worldwide, when sent via courier or in a maxi letter. This module does not contain automatic data sending features. Automatic data sending module needs to be purchased separately. 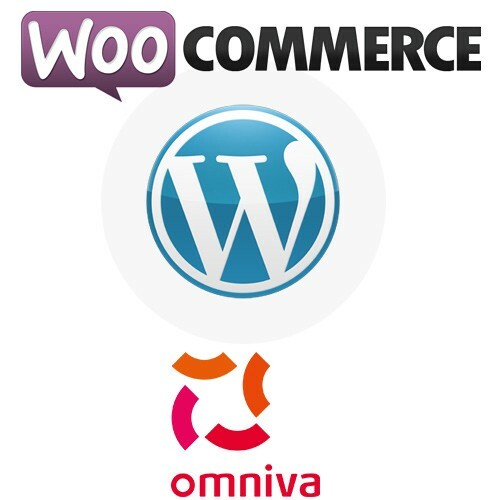 This is the reason why we have brought together all of Omniva’s convenient delivery services for your online shop, so that your customers have a varied and wide range of choices to decide whether they wish to pick up their purchases from a convenient Omniva self-service parcel point or post office or have that eagerly awaited parcel delivered to them via courier or in a maxi letter. We have consolidated all of these flexible options into a single module that is very easy to install, in order to simplify your job as a merchant and to ensure the increased satisfaction of your customers, with their different tastes and places of residence. The module provides your customers with a wide range of diverse options for receiving their goods. Such as the convenient Omniva self-service parcel points accessible 24/7, across all of the Baltic States. With this delivery module, your customers can also go and collect their parcel from a post office near their home or have it delivered to them using the very convenient Omniva courier service or in a maxi letter, literally anywhere in the world. In other words, the simplest, most accessible and most convenient method for everyone! Hence, a good choice for the merchant. The most suitable method for each of your customers and very convenient for you! • This service enables your customers to use Omniva’s services and choose the most convenient self-service parcel point for receiving their goods in Estonia, Latvia or Lithuania. • Omniva self-service parcel points have been set up in the busiest locations across Estonia, featuring convenience and excellent accessibility. Self-service parcel points are convenient because of their accessibility round the clock, which makes sending and receiving parcels extremely flexible for everyone. Hop out of your car or off your bicycle, pick up that longed-for parcel, and finally place it under your arm. • With the Omniva Estonian post office service, your goods are also available to those customers without access to Omniva self-service parcel points, that is, they can use the Omniva “collect at the post office” service and pick the most convenient post office for them to receive their goods in Estonia. • Post offices available for selection are displayed to the customer on a drop-down menu, with the information coming straight from the website of Eesti Post. • This service, on the other hand, enables your customers to use the Omniva courier or maxi letter service and determine the cost of delivery depending on the country of destination chosen by the customer and the weight of the goods. This way, they can send their parcels straight to their home or workplace. • (NEW!) The cost of delivery can now be determined separately for each country, which makes it even easier to sell into various countries. Simple and convenient to use! *(NEW!) This module now comes with support for multiple locker sizes. 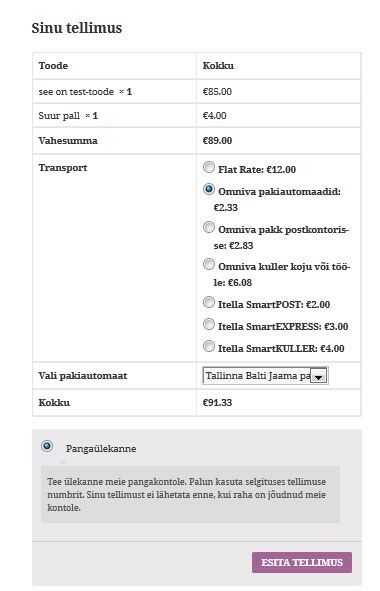 When ordering goods, customers can choose from among three locker sizes with different price levels: S, M and L. In addition to the various locker sizes for self-service parcel points, the Omniva (Post 24) post office service also calculates the cost of delivery for customers based on locker size (S, M or L). *Option of specifying free delivery from a pre-set amount. *Option of calculating the cost of delivery for an entire order or for each item separately. 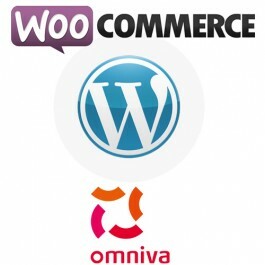 *All the necessary settings can be made readily from the control panel of your online shop. 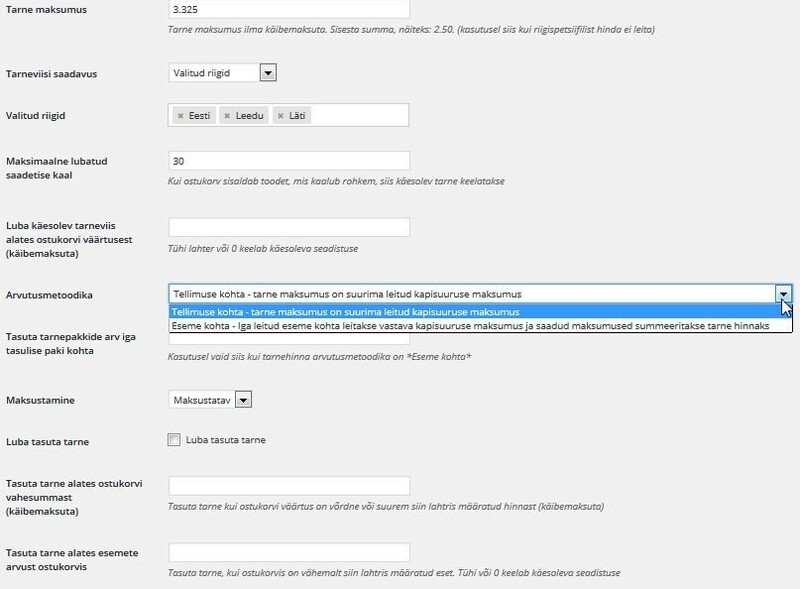 The module features several setting options, thus providing you with flexible solutions.